Commander General John Hyten stated in a testimony before the US Congress in March 2018 that the Pentagon needs low-yield nuclear weapons as deterrence, particularly against Russia. The Pentagon has completed draft plans for its upcoming low-yield missiles, Warrior Maven, a military weapons news outlet, reported. According to the US military, the new missiles will be both ship- and submarine-launched. "The Nuclear Weapons Council has met and approved the draft plan moving forward. The NWC agreed to allow the National Nuclear Security Administration to begin developing scope, schedule and costs for this activity," Pentagon spokeswoman Michelle Baldanza said. Warrior Maven went on to note that the new low-yield weapons will give the US military more options "to deter attackers" than it has with the existing arsenal. According to the media outlet's sources in the US military, the new missile will be based on existing Trident II D5 long-range missiles, with their warheads changed for W76-2s. 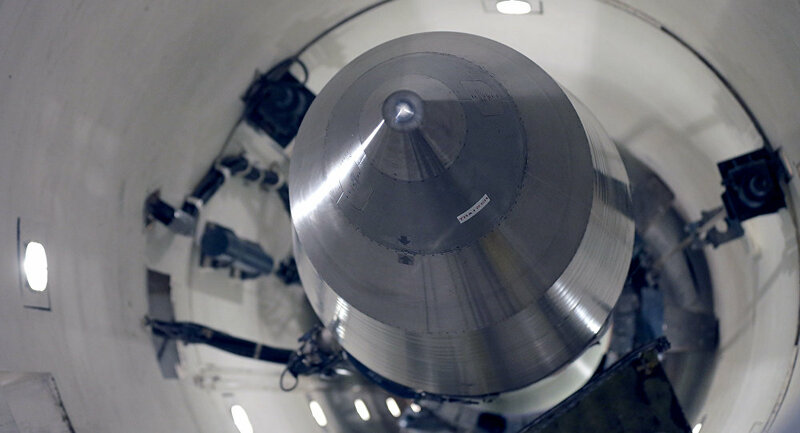 The new warhead will, in its turn, be based on 100-kiloton old ones, with the secondary part of the nuclear explosive package comprised of uranium and lithium-deuteride removed. W76-2 will only contain a primary trigger, which equals to only 5-6 kilotons. Hans Kristensen, director of the Nuclear Information Project, pointed out in an interview with the news outlet, that such an approach is less costly than creating a brand new missile and warhead. US Commander General John Hyten of the United States Strategic Command explained to Congress in his testimony in March 2018 that the Pentagon requires low-yield missiles as a "deterrence weapon" that can help to "respond to the threat that Russia in particular is portraying."